Last week I posted about Self-Awareness. If you missed that post, just scroll down below. As a follow-up to that post, today I'm posting about favorites. We all have favorites. Favorite foods, favorite colors, favorite songs, favorite times of the year, etc. The students/clients we work with have favorites too and sometimes, learning about their favorites can help you learn a lot about the students and what motivates them as well. I wrote the song below to help introduce the topic of favorites and to give several examples. I use visuals with this song (power point slides with examples of each item listed in the song). After singing the song I ask students to share some of their favorites and then include that in the song (if you want a recorded example of this just let me know via email morewithmusic@gmail.com). A favorite is something I like a lot. A favorite color, a favorite food, a favorite person, place or thing. We all favorites. This is true. It's okay if they're not the same. Today's post is about self-awareness. 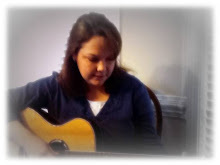 I'm also excited to share a song that I've been incorporating in music therapy sessions that addresses self-awareness. First of all, what is self-awareness? an awareness of one's own personality or individuality. In several classrooms I serve, we've been focusing on self-awareness. This topic in and of itself can be challenging to think about teaching when working with students with disabilities. We've been approaching the topic with a wide variety of approaches, activities and songs. Some of these approaches include talking (and singing), about feelings as well as favorites. We also introduced strengths and weaknesses in one classroom, as we were discussing personality/individuality and how we are all different. The song I'm sharing today fits perfectly for this topic and I love it's message of "I"ll keep getting stronger". I came across the song online one night as I was planning for sessions for the week. How could you use this song? As always, thanks for stopping by More with Music! Check back soon for another blog post! Who knew polar bears could groove? Another batch of cold, icy weather has hit eastern North Carolina. With schools closed, this gives me the perfect amount of time to get some blog posts ready! For today's post, I want to share a song I wrote and recorded and have been experimenting with the past couple of weeks. This song is about a big and a small polar bear. So far, this song is a hit with students ages pre-K to third grade, and it has unlimited possibilities, depending on how you decide to use it with your students/group. To start with, I love this song because one thing it requires is for the students to listen. They have to work together and listen to find the big polar bear's beat, as well as the little polar bear's beat. I usually start this activity by showing the picture above and talking about the big polar bear and how he's so heavy, he stomps around, he moves slowly,etc.. We practice stomping from our seats first (stomping once for each half note beat if you count this song in 4/4). 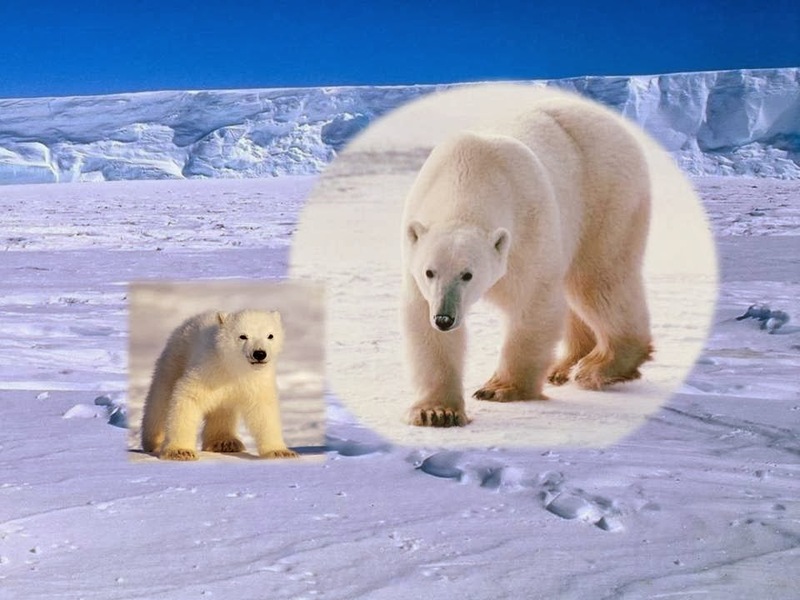 Then I talk about the small polar bear, how he is not heavy, he moves faster and he taps as he goes. We pat our knees for this one (patting each quarter note on the beat in 4/4). The last verse combines the two, so I encourage the students to pick a bear-big or small, and keep that beat. After going through the above, with some groups, I get them up and we move around the classroom with stomping feet and tapping feet so they really "feel" the beats as I play the song (I use this recorded version so that I am free to model the beat and participate). For groups that are not quite ready to freely moved across the room in a group (or groups that cannot handle a quick transition like that, sensory issues involved, etc. ), I pass out rhythm sticks or drums for this activity. After identifying the big and small beats, they are ready to transfer those sounds to a rhythm instrument and we do the song one more time. Another option would be to divide your group into two groups and/or partners, and have each assigned to one of the beats. This would be great with students assigned in pairs to share a hand drum or floor drum. Then in the last verse, the students would each play their beat at the same time. Near the end of the song, I encourage the students to listen and try to stop when they hear the music stop. This helps them stay focused as the song is coming an end and sets up your group to be ready to listen to directions as the song comes to an end. My greatest discovery was that almost all the students loved this beat and wanted to get moving with this song. I've seen shoulders moving up and down, upper bodies bopping to the beat...it's definitely a catchy beat! What other ways could you use this song? As always, thanks for stopping by and have a great day!